Large baby or toddler bib. White cotton with flowers. 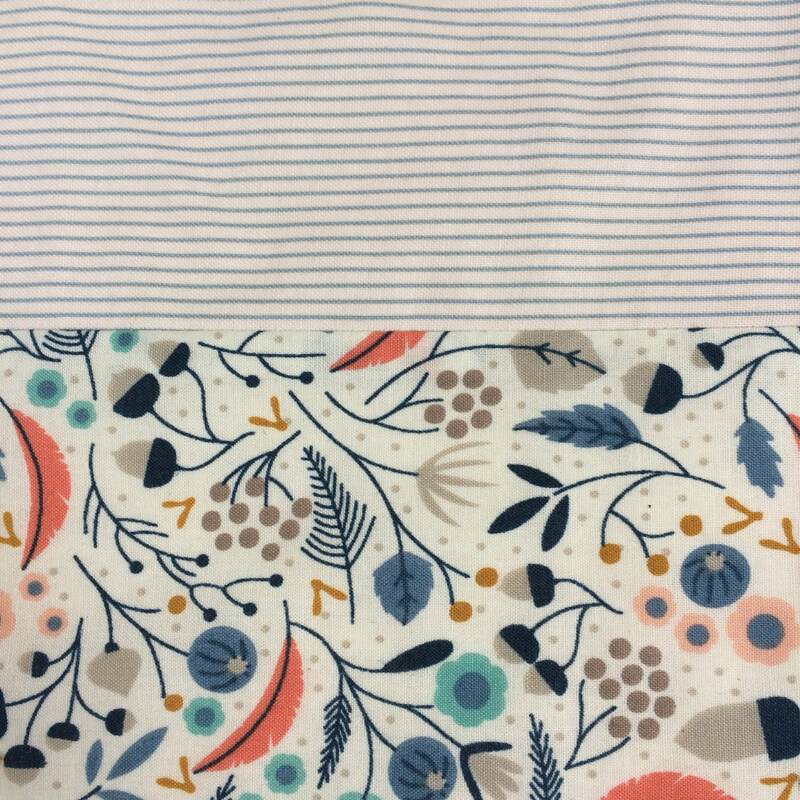 White cotton with blue stripes. White terry cotton back. Baby shower gift. 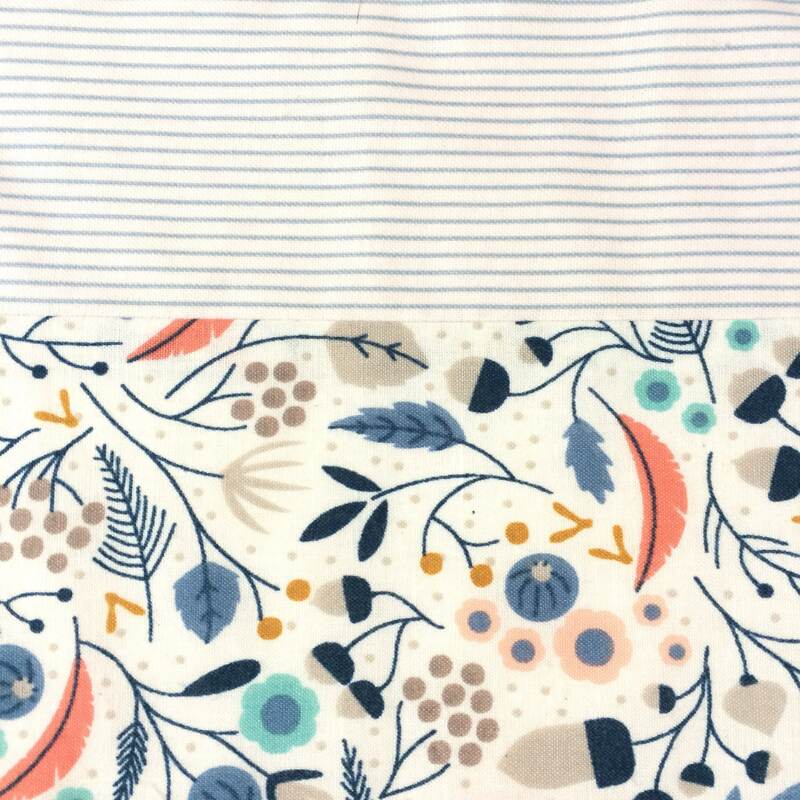 Keep your baby happy and dry in this cute cotton bib with flowers and stripes. It also makes a great baby gift for a cute baby girl! These bibs are the perfect size for toddler aged kids, but also offer that little bit of extra coverage for babies just starting solids. 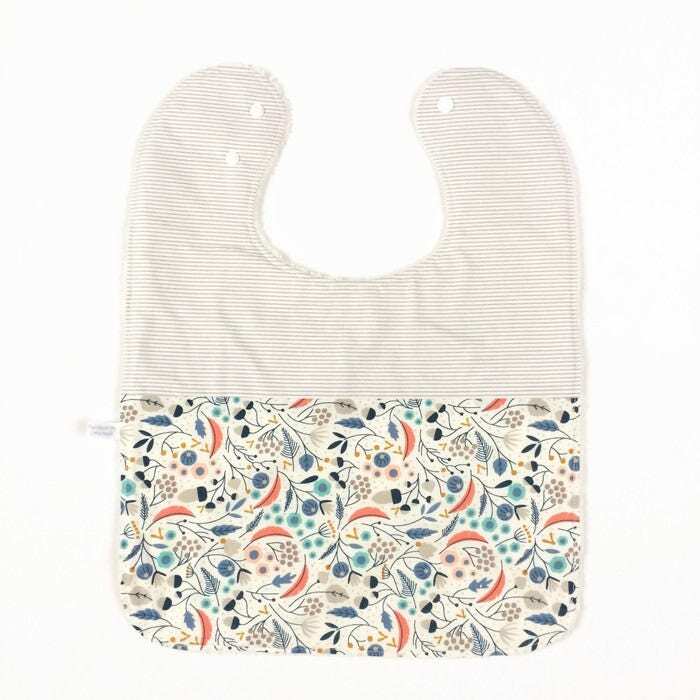 This bib is made of white cotton with flowers, and matching white cotton with stripes. The back of the bib is made of absorbent white terry cotton. 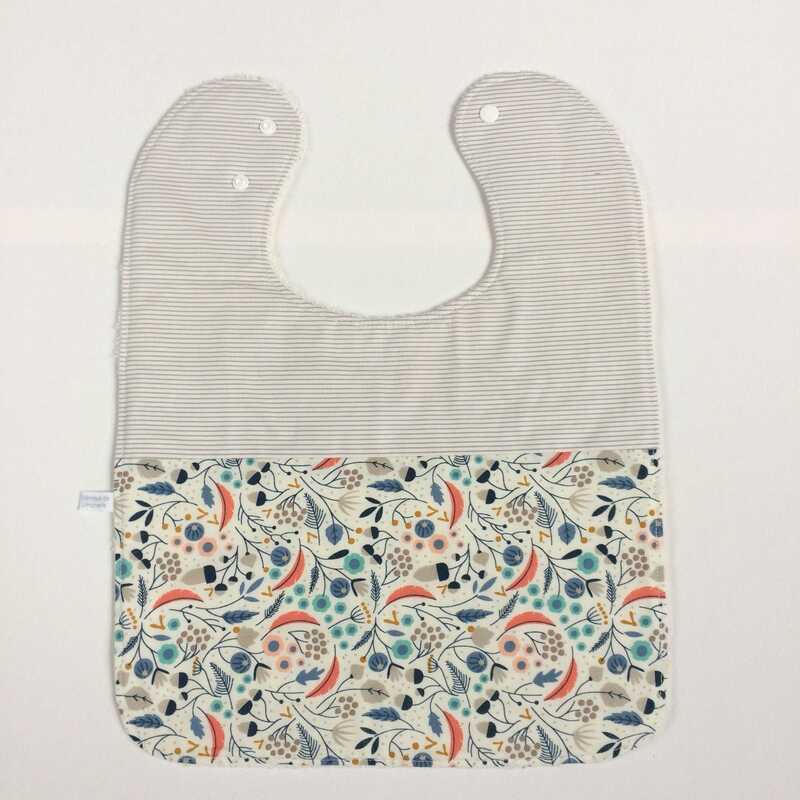 The snaps securely and easily fasten the bib without fuss.